Sarah Lives Continued: There’s Much more than meets the eye. In a very simplified recap, we’ve linked the verse Bereshit 21:1 and the keeping of G-d’s promise to Abraham and Sarah, and the birth of Isaac to the coming of H’Mashiach (the Messiah) in 5778 (2018 CE) and to the Ari, Rabbi Isaac Luria, (of numerical value 211) and then we’ve linked Bereshit 23:1 to the coming of H’Mashiach in 5778 (2018 CE) and to the Ari again. Now, let’s take it further, much further. While we saw that the phrases “The Ari lives” and “The Messiah Lives” are connected to Bereshit 23:1 and to the phrase “Sarah Lives” there are two more verses connected to this 5th portion that link with one another and bring further clarity to the generational chain of H’Mashiach, two more pieces of the puzzle if you will. They are Bereshit 24:1 and 1 Kings (Malachim) 1:1, both of which begin with the key phrases “coming with the days” commonly translated at “old age.” But “coming with the days” is a definite reference to for those that understand. Bereshit 24:1 is talking about Abraham and 1 Kings 1:1, which is from the Haftorah portion associated and read with Chayei Sarah, is about King David. Bereshit 24:1 is the verse recited 3 times after the Hallel prayers: V’Abraham zaken Ba Bayamim V’adonai berach et Abraham bacol. 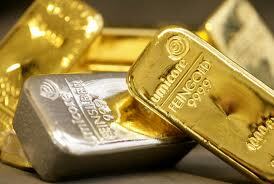 “Abraham was old, well advanced in years and God had blessed Abraham with everything. We’ll show shortly how this is a continuation of the previous verse, which was also the first in its respective chapter, as are these two, and we’ll also show how they all refer to the end of days (advanced in years) and to G-d’s fulfillment of his promise, his Covenant with Abraham. The first connection between this verse and Bereshit 23:1 is hinted at in the palindromic word VYHYV, which if your recall indicated a coming and going in two different directions and thus a doubling of Sarah’s 127 years, as in 127 x 2 = 254, which just happens to be the numerical value of V’Abraham, the first word in Bereshit 24:1. And if you recall from the posts about verse Bereshit 22:1 and 23:1, about how they reflected Moses’ 515 prayers for the Messianic age to come and moreover that that the 516th prayer would have ushered it in, thus finding that the numerical value of the 4 word phrase that begins Bereshit 24:1: V’ABRHM TzKN BE BYMYM, is 516 is quite significant. The verse begins with 4 words phrase: V’ABRHM TzKN BE BYMYM, very similar to the verse in 1 Kings 1:1that begins V’H’Melech David TzKN BE BYMYM, substituting the name King David for that of Abraham, and just like V’ABRHM having the value of 254, or 2 x 127, the 3 letters in the word melech (MLC) King, spelled out, also have the value of (80 + 74 + 100) = 254 = 2 x 127. But we can really begin to see the connection when we notice that the phrase “David H’Melech Chai (King David lives” has the numerical value of 127, as in the 127 years of Sarah’s life. The first of the two similar verses that reflect the same thought, Bereshit 24:1 and 1 Kings 1:1, has 4 words and the second one has 5, together, 9 words, once again reflecting that theme of 9 that we saw when we were analyzing Sarah’s verse Bereshit 23:1. Since it takes two words to say “King David,” we see that while the first letters of the first 4 words of Abraham’s verse add up to 17, that of tov, good, the first letter of the first 3 words in King David’s verse add up to 17as well. This harks back to Creation when the Torah states that G-d made the Light and it was good (tov). In case you haven’t realized yet, and I guarantee you have will by the time you finish this blog, the purpose of all this encryption is to lead us to David H’Melech (King David) and his connection to H’Mashiach. 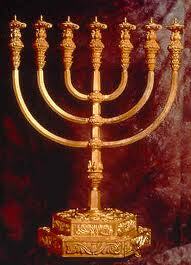 Even the 22 letters of the Hebrew Alef-bet say David H’Melech, loud and clear. The sum of the 22 letters is 1495, which visually and mathematically breaks down to 14 and 95, and 14 is the numerical value of David and 95 is the numerical value of H’Melech, thus the sum of the 22 letter represents David H’Melech. Moreover, the various examples we have of specific words in the verses equating to 254 is more than just 127 x 2. Since the sum of the integers through 22, as in the 22 letters, is 253 and 254 is 1 more than 253, these specific words are all references to going above physicality, which is what both Abraham and King David did. This is also a hint as to what we must do both in order to see and understand all this, and to be able to see and understand what will happen in the time of H’Mashiach, “in the coming of days.” We must expand our minds, our vision, our loving kindness (chesed) beyond the physical, which means beyond ourselves, and our selfish natures. Just as we do every Elul leading up to Rosh Hashanah, but on a much grander scale, we must prepare ourselves for meeting and greeting the King. Using the 3 Shanah (years) and the 3 linked verses and the multiple of 3 word combinations that keep leading us to astoundingly redundant messages as yet another clue, we can take another 3 word combination, such as the values of the two BYMYM from the two verses (Bereshit 24:1 and 1 King 1:1 plus the value of the word TzKN from those verse and add 2 for the kolel of the 2 verses and we get 204 + 157 + 2 = 363, the numerical value of H’Mashiach, “The Messiah.” Even verse numbers themselves, Bereshit 24:1 + 1 Kings 1:1 plus 6 for the kolel of the 6 digits = 241 + 111 + 6 = 358, the numerical value of Mashiach. While the word V’Abraham from, Bereshit 24:1 has the numerical value sofit of 814, the same as the verse Vayikra 19:18 paraphrased as Love thy neighbor…, the word V’H’Melech “And the king,” referring to King David from verse 1 Kings 1:1, has the numerical value of 101, which is the same as the gematria atbash of Shanah (ShNH), year, from verse Genesis 23:1. And 101 is the same numerical value as the cyclical ordinal value of the 3 Mothers (E, Sh,M), and is also the simple gematria of Michael, the archangel, protector of Israel, whose numerical value of 541 is the cyclical ordinal value of the 7 Doubles (B,G,D,C,P,R,T) as revealed in the Sefer Yetzirah and as will be explained soon in another post to this blog. But more germane to our current analysis is that the ordinal value of Sarah, Abraham, and David is 46+41+14 = 101, as well. And their numerical value, including the kolel for the 11 letters in their 3 names is 505 +248 + 14 + 11 = 778, as in 5778. And since the first word of Bereshit 24:1, V’Abraham and the first word of 1 Kings 1:1 together have the numerical value of 254 + 101 = 355, that of Shanah (year) and/or sefira (dimension), so what better link to Sarah’s verse in Bereshit 23:1 can we ask for? Except that when we strip away the prefixes as we often do when trying to find the essence of the matter in the Torah, we see that the spelled out sofit values for the 3 letters of the 3 words from the 3 verses, Sarah, (ShRH), the EBR of Abraham, and Melech (MLC) plus the 24 letters in the spelled out versions of these 9 letters = 2635 + 996 + 1345 + 24 = 5000 exactly. And when we couple that with the equation just above, we get Sarah, Abraham and King David = 5778. And just in case we think this is some colossal coincidence, please note that verse Bereshit 24:1 is divided down the middle into two phrases of 5 words each: V’Abraham zaken Ba Bayamim and V’adonai berach et Abraham bacol. The second phrase “God had blessed Abraham with everything,” has the numerical value of 1995 + 18 (letters) + 5 (words) = 2018. And since we know G-d made his Covenant with Abraham in 2018 HC, it must be telling us that Abraham will finally receive everything (His Promises fulfilled) in 2018 CE, 5778 HC. But what of the second part of 1 Kings 1:1, which is also split to two 5 word segments (phrases)? That may be giving us another version of the end of days. “YYCSHV BBGTYM VLE YChM LV” translates to “he could not keep warm even when they put covers on him.” It’s a very cold, bleak, uncomforting end.” And since the first word in that phrase has a numerical value of 107 and begins and ends in vav, like the VHYHV that began Bereshit 23:1, and because all the integers from 1 to 107 add up to exactly 5778, we need to take this warning, this possible outcome, seriously. It’s not coincidence that there are 31 verses in 1 Kings 1, just as there are in Bereshit 1. And/or that there are 31 words in all 3 verses. It’s another beginning. But how do we know these 3 verses are really meant to be connected and that they collectively connect to the end of days? The total standard gematria of the 3 verses is 5770, plus 8 for the 8 years that we’re told by chazal that H’Mashiach will have to pass through before the brit (covenant) can be achieved gives us 5778, and also a clue that the tzaddikim of blessed memory are probably correct. And the square root of the gematria sofit value for the 3 verses is 111.848, pointing us again to the Alef, and the unity of the three ones, or columns of the tree-of-life in the end and since 848 = 2 x 424, the value of Mashiach Ben David, it’s also pointing to the 2 heads once again. Now, going back to the 3 Shanah’s (years) from the 2nd part of verse Bereshit 23:1, Sarah’s verse. When we spell out (ShNH, ShNH, ShNYM) using the mem sofit we get 2048, a reference to Abraham (248) no doubt, but more to the point, the 2048 is the year their son, Isaac was born. Incidentally, Sarah died when he was 37, as in the value of the first word of that verse (VYHYV), which starts out “this is he life of Sarah.” Moreover, 2048 – 27 (letters) – 3 (words) = 2018 yet again. Of course, simple gematria of the 3 Shanahs (years) gives us a value of 355 + 355 + 400 = 1110, or 10 x 111, the numerical value of the letter alef, and also elef, the word for 1000, thus 10 x 1000, which either way, translates to the keter (crown) or head of the 10 sefirot. And if we add the ordinal value (138) to it to get the complete value, we get 1110 + 138 = 1248, a simple allusion to 1000 (keter/elef/alef) and to Abraham (248). It should be very clear by now, that this sequence and these verses are telling us about the seed level of Mashiach, of the universe, and about both the beginning and the end of it all. And that sentiment is echoed in that the 3 Shanah sequence ends in Yud-mem, representing Keter of value 620. And speaking of first words, the numerical value of the first word in each of these three verses, not only begins with vav, making 3 vavs, or 6 + 6 + 6 = 18, the value of chai, life, but they in simple gematria they are 101 + 254 + 37 = 392 and when we add the kolel of 16 for the 16 letters in the 3 words, we get 408 as in the 408 missing composite letters from the Torah, (600,000 – 408 letters). Incidentally, the 231 in Genesis 23:1 can be said to relate to the 231 Gates of Wisdom discussed in the Sefer Yetzirah. Nevertheless, of the 12 words in the verse, Genesis 23:1, the two-word phrase Sarah Chayeh is repeated, not only emphasizing that the Torah is talking about someone beyond Sarah, someone yet to come, someone from her spiritual lineage. It also allows us to take note that when the kolel for the 6 letters in this phrase is added to its complete word value (normal and ordinal together) we get a total of 613, as in the 613 precepts delineated in the Torah, indicating we are talking about a complete tzaddik (righteous soul). The simple equation not only yields an impossibly precise approximation of the mathematical constant Pi, but also 5777, the year 2017 CE. It’s also coupled to the all-important Biblical time span of 70 (years), including David’s lifespan, and to the number 73, the value of Chochma, wisdom, the 9th sefira, but we’ll get into Pi and its connection to 5778 a little later. Next, the words BE BYMYM common to both verses (23:1 and 1 Kings 1:1) contains two mem-bets each, signifying the upper and lower Names, meaning redemption, Pad (PD of numerical (42 + 42) value 84, and represented by the Eyheh Asher Eyheh “I am that I am,” also known as the two heads (RESh, a permutation of Asher), which fits with the twin numerical values of the two Yud-mems of the BYMYM. and the Bet (B) which signals 2, by its value (2)/ Meanwhile, the Alef of BE, is also a sign of head, as it’s the primordial letter that comes before the Bet of Bereshit, the physical first letter of the Torah, and it’s also the head of the alef-bet. Spelled out yud-mem has the numerical value of 100 and the second one has the sofit value of 620, both representative of keter, and thus the two heads, or crowns. This also is indicative of a crown at either end, at the beginning and at the end, though that is up to interpretation. The other head is also Sarah, as the numerical value of 3 of the first 4 words of Bereshit 23:1 subtracting her name they total (VYHYV ShRH ChYY MEH) 37 + 28 + 46 = 111, which is that of the letter Alef. The other two heads are Sarah’s spiritual lineage and Abraham’s, the two halves of the soul that came together with G-d’s blessing to make their spiritual seeds as numerous and as bright as the stars. There are many different types of gematria, (established encryption decoding systems, some more common, like sofit (final letters), katan (small), atbash (reverse alef-bet) and albam, (plus 11 or middle of alef-bet) and some are much more concealed and known only to a very few people today. but all are revelatory. Nevertheless, it should be cautioned that other than very basic gematria, none of the others should be utilized unless it has already been established that the particular subject that you’re examining has significant already proven spiritual relevance. In this way, you are not imposing your own creation, but rather stripping away the layers to reveal more and more about the spirit of the subject. Since we’ve more than established the significance of Bereshit 23:1, and indeed the name Sarah, we can see that her name may contain additional encoded information. And while the name Sarah in gematria atbash (BGZ) has a numerical of 95 as in H’Melech, “the King,” in gematria albam it is 109 as in David H’Melech , “King David.” Moreover, the the first line of the 42-Letter Name (Shem Mem-Bet) which included that letters (BGZ) and which has the numerical value of 506 (one more that Sarah, 505) has the remaining letters (EYT) and if we convert these back using atbash as well, we get (EMT) which spells the word Emet, meaning truth, commonly thought of as Torah truth. Thus the the 42-Letter Name’s first line, whose value equates with that of the Hebrew word for “Unconditional Love,” translates to “Sarah Emet.” And thus both, thN Name Sarah and the 42-Letter Name, not insignificantly, connect to David H’Melech. The sum of the atbash values for Abraham and Sarah is 898 plus the kolel for the 8 letters in their names gives us 906, as in the value of the last line of the 42-Letter Name again, and as the value of the words Et Sarah from the Bereshit 21:1 which began our sequence of posts on this subject. Moreover, as we shall see momentarily, 906 BCE is also the year David H’Melech was born. In relation to the 3 different year parameters mentioned in Genesis 23:1, which we know from the Zohar relate to the different sets of sefirot, 100, 20 and 7 respectively, if we follow Abraham’s advise in the Sefer Yetzirah, we get (100 x 20) + (100 x 7) + (20 x 7) + (1 x 2 x 7) = 2854 and 2854 HC is the year King David was born. Now regarding the 3 sets of years again (100, 20, and 7) the value of the word used for 100, (meah) is 46 and that of 20 (esrim) is 620, which we’ve stated perviously is keter, but 620 + 46 = 666. And while the sum of the values and ordinal values of 20 (esrim) and 7 (Sheva) together is 620 + 80 + 272 + 39 = 1111, the sums of the words used for 100, 20, and 7 collectively sum to 1038 and 138 for their simple and ordinal values respectively, once again indicating the 38 years of the Ari’s life that were even more specifically indicated in the previous posting. Also in relation to King David, who lived 70 years, we should note that the numerical value of the Ari, 211, is half of 422, the numerical value of the word seventy 70. For many more connections to this and the First Temple’s destruction in 422 BCE and the Second Temple’s destruction in 70 CE, please see The Divine Calendar. The gematria albam of the 3 interconnected names Abraham, Sarah and David including the kolel of 15 for the 15 letters in their names is 948 as in the 948 digit in Pi where the final series 5778185778 occurs, but to really understand that and to grasp its profound significance for us we must read There’s Nothing Random in the Universe. As stated in the last posting, verse Genesis 23:1 that gave rise to all the connections from Sarah to the incarnations of Mashiach (the messiah) is the 5th portion in the Torah and it is the 55th paragraph in the Torah so how perfect is it in the grand scheme of things that this verse contains the word Shanah, year, of numerical value 355, twice, 3 times when we consider the plural version, Shanim. Why perfect? Because we know from the Zohar that the value of Shanah (ShNH) is also that of sefira (dimension), as in the 10 Sefirot (dimensions) of the Tree-of-life, and not only is 55 the sum of all the integers from 1 to 10, but 55 is also the 10th Fibonacci number (1,1,3,5,8,13,21,34,55…), a series of numbers integrally based on the mathematical constant Phi which controls the spiraling nature of the universe and is integrally linked to the year 5778, as explained in the except below. And you may have also noticed that the consecutive 3rd, 4th and 5th Fibonacci numbers spell out 358, the value of Mashiach, while, it just so happens, the numerical sequence found at the 10th digit in PI is also 358. And it’s also perfect because when we add the kolel of 3 for the 3 letters of the word Shanah (ShNH) we get 355 + 3 = 358, Mashiach. And of further interest here is that that the first 5 Fibonacci numbers (1,1,3,5,8,13,21,34,55…) total 18, as in chai, lives and the 3 vavs (6,6,6), and as in its connection to 2018 and 5778 as will be explained below. Also, while the first 4 numbers add up to 10 (sefirot); the first 6 add up to 31, the value of El; and the first 7 add up to 52, the value of the Tetragrammaton YHVH at the level Ban, Malchut; and the first 8 add up to 86, the value of Elohim; the first 10 equal 230, as in Genesis Chapter 23, where all this about the 10 sefirot is revealed. And that single unique number is 5778. For some reason beyond explanation 5778 and Phi were designed to interact, and 5778 was made to stand alone within all the numbers in the known universe. Why would this be possible? Why it’s possible for a number to stand out so is difficult to say and maybe not for us to say at all. But we can explain a little bit about the mechanism and the why might get clearer as you get deeper into this book. The next series of minor revelations may shed some light though on the process by which 5778 became so unique. When we divide 5778 by Phi raised to the power of 15, or Phi15, it equates to approximately 4.24, which is the numerical value of Mashiach Ben David, the Messiah, Son of David. Then when we divide 5778 by Phi raised to the power of 16 we get Phi2, or written as an equation, 5778/Phi16 = 2.61803399 = Phi2. Then when we divide 5778 by Phi raised to the power of 17 we get Phi, or written as an equation 5778/Phi17 = 1.61803399 = Phi. And finally when we divide 5778 by Phi raised to the power of 18 we get 1, or written as an equation 5778/ Phi18 = 1.0000000…, representing a singularity, an absolute oneness. Therefore Phi18 = 5778 and the square root of 18 = 4.242640, once again the numerical value of Mashiach Ben David, the Messiah, Son of David. And this time followed by the numerical value of the Tetragrammaton, 26. We can begin to understand that there is a dynamic occurring here and that 5778 didn’t accidentally become unique. Regardless of how we want to read this, 5778, Phi and the number 18 are integrally and dramatically linked together. It’s interesting that 17√5 and 19√5 bound 18√5 on both sides. It’s the same with dividing 5778 by Phi raised to the power of 6 less 17, and also 19. In other words we get a resultant whole number to 3 decimals places or more when with the equation 5778/(Phi6 – 17), and also with 5778/(Phi6 – 19). It’s as if the numerical universe were zeroing in on 18 and 5778. And as we learned in The Divine Calendar, 3338 was the year the First Temple was destroyed. This also means that (Phi-1)18 = 1/5778. What Does Phi18 = 5778 Mean? The equation Phi18 = 5778 simply means that 5778 is the 18th power of Phi. And as a derivative of Phi itself the number 5778 might be expected to work out to a whole number, or nearly a whole number, at some point. But that doesn’t answer what the significance of 18 is, or why it had to equal 5778. And it certainly doesn’t explain why 5778 in the Hebrew calendar is 2018 in the Gregorian or Western calendar. Once again 5778 and 18 linked together. 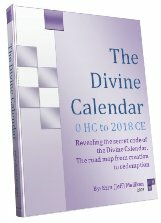 If you’ve already read The Divine Calendar you already understand why that is and don’t believe the 18 in 2018 and in Phi18 = 5778 to be coincidental. As you read this book you’ll also come to know that it wasn’t. Five(5), but possibly more significant 17 and 19 are part of the exceedingly rare set of Mersenne primes, meaning that they satisfy the equation for being prime numbers such that Mn = 2n –1. 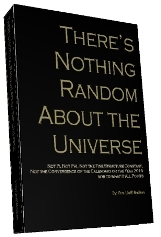 They are the 6th and 7th Mersenne Primes, which is also probably significant as the dimensions of the 42-Letter name Matrix are 6 by 7, but that will be better understood in the course of this book. The prime number 67, the numerical value of the dimension of Binah (understanding), also connected to the 42-Letter Name, is another of the Mersenne Primes, a set of only 12 numbers up to n = 127, making M127 an enormously large number of 39 digits. Author Jeffrey MeilikenPosted on November 25, 2008 January 19, 2009 Categories RevelationsTags 000, 101, 111, 138, 1948, 2018, 2018 ce, 211, 231, 231 gates, 28, 2854, 314, 358, 408, 42-letter name, 422 bce. 70 ce. 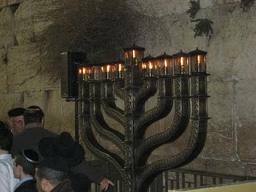 First temple, 515, 55, 5778, 600, 620, 666, 70, 70 years, 906, abraham, Ari, arizal, brit, Calendar, covenant, covenant of abraham, David H'Melech, days, emet, Fibonacci, gates of wisdom, Isaac, Israle, keter, king david, messiah, Mettatron, Michael, mothers, Phi, PI, Sarah, Second Temple, Sefer Yetzirah, shem mem-bet, Temple, tree-of-life, yearLeave a comment on Sarah Lives Continued: There’s Much more than meets the eye.